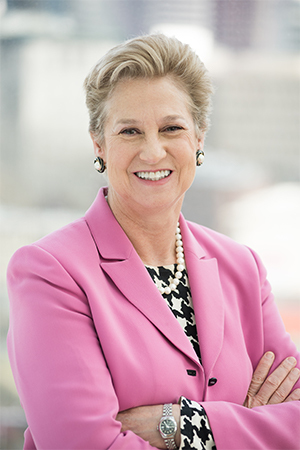 On November 2, NAIOP Washington State will honor and induct Ada M. Healey into its Hall of Fame at the 2018 Night of the Stars awards. The Hall of Fame was created to recognize the people who laid the groundwork for the industry today and have helped shape the character of the region and the great cities in Washington. Ada says it’s important early in your career to embrace risk and aim high. Certainly one to walk the talk, 17 years ago, Ada took the risk of leaving a comfortable and secure job at ING Clarion in asset management, acquisitions and portfolio management to join Vulcan. At the time, she was just one of three in the real estate group and was tasked with developing the South Lake Union neighborhood. It was a risky move and the stakes were certainly high. She credits her notable tenure not to her business savvy or real estate acumen, but rather to working with a great team, being a good judge of character and putting in a little elbow grease, all with a good dose of luck. Now, she’s the Chief Real Estate Officer and directs all real estate strategy for the company, overseeing $2 billion in real estate assets. She’s credited with Vulcan’s innovative and integrative development approaches and commitment to sustainability, among other trail-blazing facts and figures just too numerous to list. 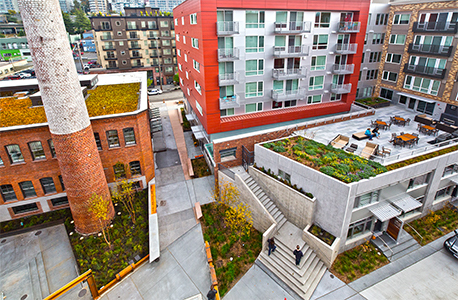 Some of Ada’s favorite projects include Amazon Phase VI (Nessie and Bigfoot), the familiar commercial workplace buildings with lush landscape settings in South Lake Union; Batik, the new and dynamic apartment building in Yesler that upholds inclusivity; and Stack House, the full-block residential development featuring the renovated historic Supply Laundry Building anchored by the 14-foot smoke stack in South Lake Union. 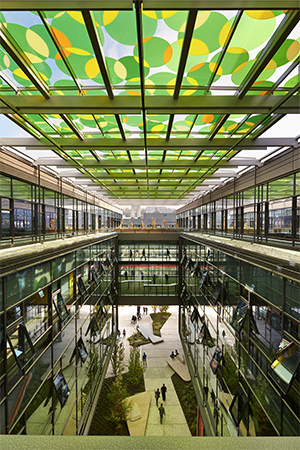 Not surprisingly, all of these integrate the businesses, nature and neighborhoods around them. To continue to succeed in the industry, it’s pretty clear-cut, if you ask Ada. A page in her playbook is to persevere, but don’t sweat the details. Other ingredients for success are being able to take risks when you are not quite ready, reaching across disciplines to learn from others and to work hard. Really hard. The Night of the Stars event is one of Ada’s favorites as it’s a great showcase for the area’s innovative work and a fun way to catch up with fellow industry colleagues in a lively atmosphere. As a member company since 1986,Vulcan has appreciated the government affairs role the chapter has played. It has been an important voice for the local industry as a “pointed spear” that has keenly understood the concerns of the community, carefully articulating goals and influencing policy in the right way. Ada predicts that the region will continue to enjoy strong growth and remain a viable place for technology companies to migrate to and call home. She is bullish on Bellevue development and foresees areas with light rail and mass transit as areas ripe for development, and she sagely says that getting around the region is going to continue to become increasingly important to where we work, live and play. Ada is very grateful for the Hall of Fame honor. And fair warning to all those who might think the distinction signals a pending retirement or any type of slowdown, it is rather quite the contrary—Ada is sure to state that she is far from “hanging her boots.” Ada is ready now more than ever for many more years of development and progress in the great Pacific Northwest. Batik, photo by Brent Smith Photography; Amazon Phase VI, photo by Benjamin Benschneider Photography; Stack House, photo by Michael Walmsley Photography. This article was written by NAIOP WA and Marcom committee member Sarah D. Fischer.